A lot of us have heard of medicines which are not available locally but are potentially very useful and even in some cases are needed to treat various conditions. And I am not talking about some exotic pills from Indian Himalayas or liquids squeezed out of most venomous snakes in world in Amazon jungle but about substances which are widely used in neighboring European countries. One of those are Actovegin tablets, they are becoming more and more popular among citizens of United Kingdom but unfortunately they can not be bought locally. Actovegin tablets in UK are not being sold even tough they are sold and manufactured in neighboring countries like Germany and Austria. Actovegin tablets has been used already for 50 years, this means that there are a lot of scientific evidence of its safety, effectiveness and side effects or to be more correct- lack of them. 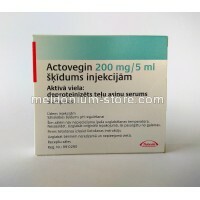 For those who do not know what is Actovegin, it is serum which is made of calf blood. Now, some good part readers could be spooked by this fact and would be tempted to leave at this point. But in reality , the medicine itself is quite far away from being cow blood in ampule. It is filtered and segregated numerous times before being sold as medicine. The truth is that there is not just one active ingredient in Actovegin but a group of active ingredients which positively acts on cell metabolism and protects them from stress. 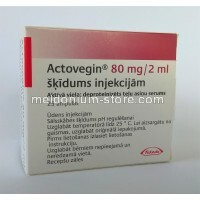 This way it is reported that Actovegin improves brain function and muscle stamina. As I already noted that Actovegin tablets in UK are not sold in local pharmacies, the main reason for this is that is that in order to approve any substance to be sold in UK, huge bureaucracy wall should be pushed and not to mention the vast amounts of funds needed to achieve something like that. As long as Takeda ( the company behind Actovegin) wont push for that, nothing will happen. Takeda is relatively new to European markets thus it seems reasonable to assume that they have an expansion plan in place for Actovegin products. Till then buyers from UK will have to relay on online vendors , they are plenty and in general should not be feared sincee Actovegin tablets does not have generic versions thus chance of encountering a counterfeit is small. The only thing what to look out for is Russian vendors, since customs at UK do prefer EU packages rather than Russian. 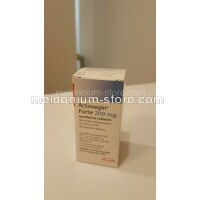 Actovegin tablets are sold in packages of 50 tablets, each containing 200mg active ingredient mixture and the bottle for some reason is made from solid glass. I suppose Takeda wanted to seem fancy ot there could be an actual legit reason for that. Will note that in most countries Actoveign tablets are non prescription – over the counter, which means that they are perfectly legal to send via postal services.